Picture yourself living for some days in a small Italian village, harvesting produce with the locals or buying fresh vegetables from a farmer’s market, enjoying cappuccino in your favorite piazza, and participating in traditional events and activities. This is the experience of Slow Travel. Evolving from the Slow Food movement, which began in Italy in the 1980s, Slow Travel offers you the opportunity to become part of local life and to connect to a place, its people and its culture. The emphasis is less on hectic sightseeing and more on taking in your surroundings at a relaxed pace. The experience allows you to explore a territory in a way that’s less stressful for you, more respectful of the locals and easier on the environment. How can you slow down and immerse yourself in your chosen destination, avoiding the fast pace of rushing from one guidebook “must-see” to the next? 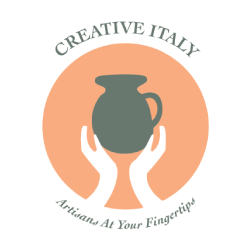 We have chosen three diverse Italian locations and three diverse activities to inspire travellers with different tastes and interests, just to give some hints and ideas… the possibilities of slow travel are truly infinite in Italy! The myth of Federico Fellini – winner of five Oscars and of many other prestigious awards – still lives in Rimini, almost a quarter of a century after his death. Known for his distinct style that blends fantasy and baroque images with earthiness, he is recognized as one of the most influential filmmakers of all time. Different places in the historic center of his birthplace – Rimini – speak of him: the movie theater where he discovered his calling, the schools he attended, his houses, the streets and piazze where he used to meet his friends and relax. Maybe you know Fellini’s movies by heart. Or maybe you are a new cinema enthusiast that wants to learn more about Italian cinema. Either way, by exploring the famous places and the hidden corners related to Fellini, you will be able to see his movies with a new vision, a new understanding – not only of the filmmaker and his fictional characters, but also of this particular part of Italy and its history. Amarcord, for example, tells the story of Rimini’s virtues and flaws in the 1930s. And even though Fellini said that “Rimini is a dimension of memory”, the town he framed in the movie is still present and palpable. Sit down at a piazza and engage with the locals to understand their modern-day perspective on Fellini and his heritage; enjoy typical food in rustic restaurants; stroll through the charming old neighborhood of fishermen’s houses with murals painted by local artists and representing the films and the life of the Maestro; experience wine tasting along the Route of Wines & Flavors around Rimini’s hills… mix your passions with what the authentic territory has to offer, to make the most out of a relaxing, experiential journey. Abruzzo is the “Greenest Region in Europe” thanks to its three national parks (Parco Nazionale D’Abruzzo, Parco Nazionale Della Majella, and Parco Nazionale Gran Sasso e Monti Della Laga), its regional nature park (Parco Regionale Sirente Velino), 18 reserves and 3 protected areas! In other words, one third of its territory is either a nature park or reserve. The pristine setting inspires several agriturismi (farms that provide accommodation) to embrace an organic approach to how they grow crops and serve their meals, and eco-friendly energy-saving technologies and alternative energy production, such as rain water collection and treatment. Imagine yourself spending some days in a typical stone-wall agriturismo, immersed in the greenery with panoramic views over the valleys. In the mornings you enjoy breakfast with organic fresh products from the farm, followed by trekking, horse riding or cycling in the nature park. For lunch? A genuine meal in a small rustic tavern in the village nearby. Later, join the owners of the agriturismo in an authentic course on ancient seeds and aromatic herbs: biodiversity here is the result of the family’s hard work throughout generations, of trial and error, sacrifices and victories. You’ll get insights and bits of knowledge that will make you see food differently when you return home. Finally, after a cooking lesson with the elderly nonna (who is also great at storytelling, by the way), you will be particularly happy, satisfied and proud of what you eat for dinner! These kinds of farms are great for families with kids, since it is important for the little ones to understand the values of nature and food, and to learn to appreciate things and time with calmness. The owners can organize didactic sessions for children to learn first-hand about animals, plants and even cooking in a wood oven! If you have ever been to Palermo, chances are that you think that slow travel is not possible in Sicily’s hectic capital. Yet, we guarantee that it is possible to experience the city off the beaten paths, in an alternative and different way. One of our favorite journeys is the exploration of the best works of street art, either on foot or on a bicycle. Palermo is filled with Graffiti hotspots, displaying works of art by artists from around the world and by local artists too. 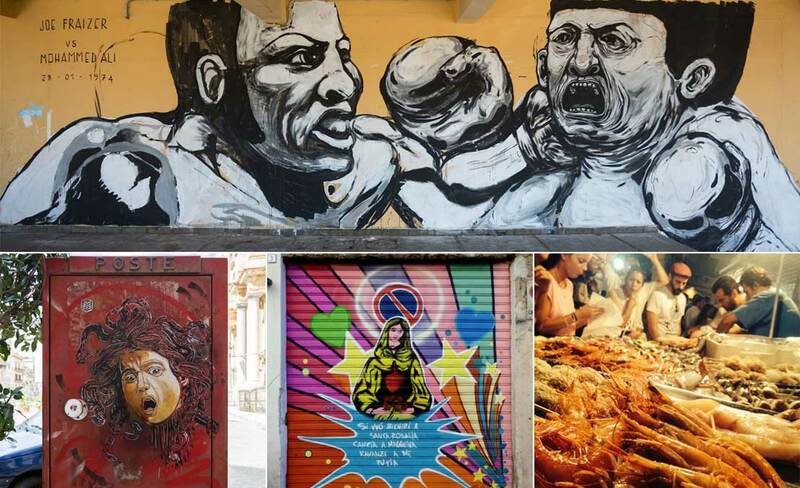 The heart of Palermo’s Street Art scene is also filled with quirky places and historical relics. This means that you can explore and understand the emerging and vibrant phenomenon of Street Art, which emerged in the late 1990s, and also delight your curious inner archaeologist or historian by admiring ruins and ancient buildings. You can exchange ideas and stories with local artists, but also with the inhabitants of Palermo’s typical districts of Kalsa, Borgo Vecchio and La Loggia. One of the best ways to do that is by enjoying some street food. While you would usually associate these meals with fast food, eating in Sicily brings you into another dimension, and there is something about Slow Food even when eating street food! Whether you are on Palermo’s streets exploring modern murals, historic attractions or local cuisine, a Slow Travel experience will bring you closer to the local territory, showing you all the shades of Greek, Roman, Arab, Norman, Spanish and French history and folklore, art and architecture, wine and food. What is your idea of Slow Travel? At what pace do you prefer to explore a destination? Share your thoughts below!